In the UK there are currently some 40,000 registered driving instructors, which means there’s plenty of healthy competition and pupils have a real choice when selecting who they want to teach them how to drive. Regardless of whether you operate through a national driving school, a local company or on your own, the only way to build your business is to attract new pupils. Doing this is easier said than done; you need to provide excellent value for money, have a high first-time pass rate but also offer a fantastic service that is relaxed and conducive to learning. This article looks at five ways you can achieve all three of these things in order to attract new students and build your business. The very first thing all new driving instructors should be working towards is approval from the DVSA. The ADI tests consist of three parts and until you pass all of them you are nothing but a trainee. This coveted qualification means that students can trust you and your teaching; without it you are no more qualified than any other regular driver. Whilst there’s a cost associated with taking each section of the test, once you have passed you are permitted to apply for your ADI badge, which you can display in your tuition vehicle. The tests are challenging and so possession of such a badge is a great way to show you are an accomplished professional. Regardless of whether you are already and ADI or not, the process of learning should never stop for driving instructors. Driving instructor training courses are continually evolving to incorporate the latest in safe and environmentally friendly driving and so taking a refresher is always valuable. In addition, you can further your knowledge by becoming a fleet driving instructor, an LGV driving instructor or a motorcycle driving instructor by taking a suitable course before passing the relevant ADI test. As students are often keen to pass their tests as quickly as possible, it can be tempting to try cram in as much information into a lesson as possible. Resist this temptation – it is counterproductive and will not help your students learn. Instead, each lesson should have a clear theme with only a handful of teaching points at the very most. This way, students are able to fully grasp the concepts you deliver to them and, more importantly, have ample time to practice the theory on the road. On the contrary, attempting to cram lessons full of new teaching points will lead to an information overload and your students being unable to process and remember everything you’ve taught them. Repeat points if necessary, ensure you’re fully understood and allow plenty of practice time before moving onto the next item. Whilst working for a national driving school can be useful in the early years of your driving instructor career, you’re often limited to who you teach, asked to work in unfamiliar areas and have to pay a hefty commission to use the school’s brand. 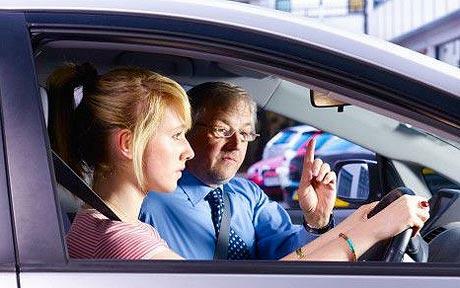 Breaking away from these driving schools can have a number of benefits. Firstly, not having to pay commission means you’re able to pass on savings to your students and provide better value for money. Secondly, you’ll be able to work in only the areas that you know best, meaning you can use your local expertise to prepare students for their tests. Finally, you can work to the hours that suit you; allowing you to provide a more relaxed service that is conducive to learning. Every year the DVSA makes minor tweaks to its syllabus and so it’s important for you, as the instructor, to stay informed on the very latest in safe driving. The DVSA website is a great place to start, although you can find courses online that will also ensure you stay up to date. As the students are being assessed against the syllabus it is imperative you stay in the loop. Whilst it’s unlikely that the DVSA will introduce a major change to its testing, it is not impossible. Don’t let a change catch you or your students out.